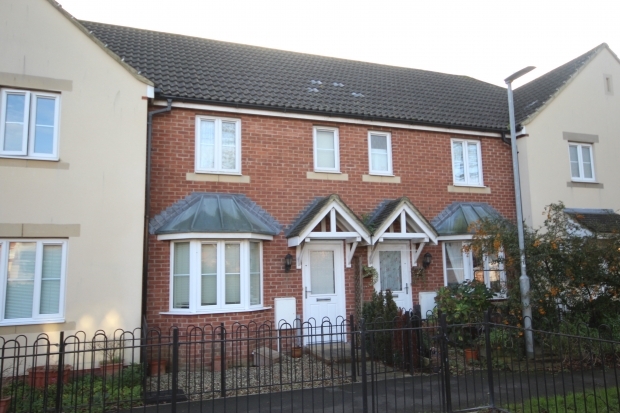 Riverside Close, Bridgwater TA6 3PE is a superbly presented and well maintained two bedroom modern property situated in a particularly pleasant and quiet location overlooking gated small green area yet conveniently located for all main amenities and facilities. The property which was built in 2007 is constructed of cavity walling under a pitched, tiled, felted and insulated roof. The excellent accommodation which is very well proportioned comprises; Entrance Hall, Cloakroom, Lounge and Kitchen/Diner, whilst to First Floor are 2 Bedrooms, with En-Suite facilities to the Master Bedroom, and Family Bathroom. There are gardens to both the front and rear of the property as well as a parking space adjacent to the rear garden boundary. The property benefits from gas fired central heating, UPVC double glazed windows & doors and all floor coverings included in the asking price. The property is in excellent decorative order throughout with very little wear and tear. The property comes to the market with the agents highest recommendations and early viewing is advised to avoid disappointment particularly as there is no onward chain. ENTRANCE HALL Laminate flooring. Radiator. LOUNGE 14’11” x 13’6” max. Laminate flooring. Stairs to first floor. Useful understairs storage space. Radiator. TV aerial point. Feature bay window. KITCHEN/DINER 13’5” x 9’2” 1¼ bowl single drainer stainless steel sink unit with cupboards under. Deep flat edged working surfaces with further cupboards and drawers under incorporating inset four ring gas hob with oven under and extractor over. Plumbing for washing machine. Comprehensive & complementary matching wall cupboards over. Wall mounted gas fired boiler. Spotlights inset to ceiling. Laminate flooring. LANDING Hatch to roof space. Fitted carpet. EN-SUITE SHOWER ROOM Shower cubicle with mains shower. Fully tiled. Folding shower screen door. Pedestal wash hand basin. Vinolay floor covering. Radiator. BEDROOM 2 10’10” x 7’1” Radiator. Carpet. BATHROOM Panelled bath. Pedestal wash hand basin. Low level WC. Half tiled behind fitments. Radiator. Vinolay floor covering. OUTSIDE To the front of the property is a small area of garden enclosed by attractive wrought iron railings and gate with various plants. Pleasant outlook over gated small green area again enclosed by wrought iron railings and gate. To the rear of the property is a south facing and private rear garden comprising paved patio area leading to lawn. Rear pedestrian gate giving access to parking space. Viewing By appointment with the vendors’ agents Messrs Charles Dickens, who will be pleased to make the necessary arrangements. Services Mains electricity, gas, water & drainage. 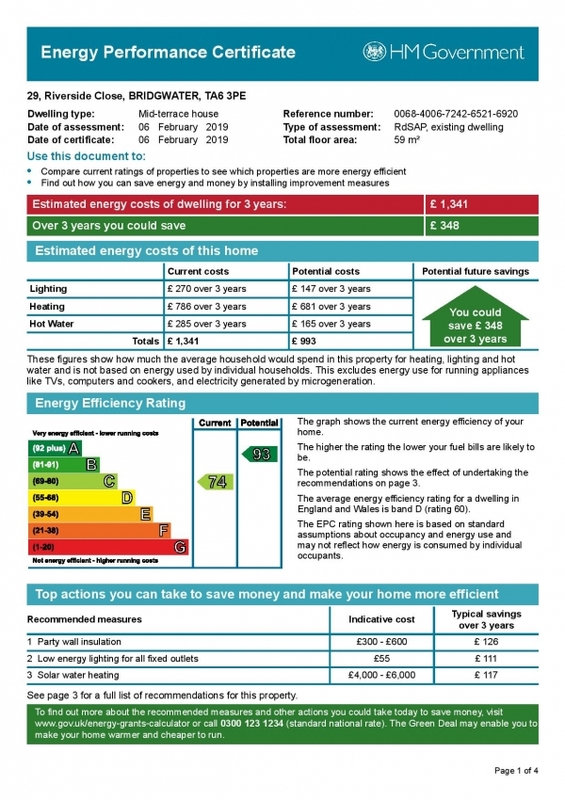 Energy Performance Certificate (EPC) graphs.